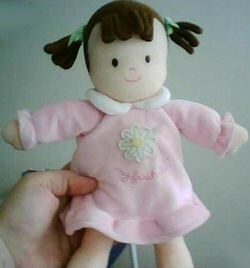 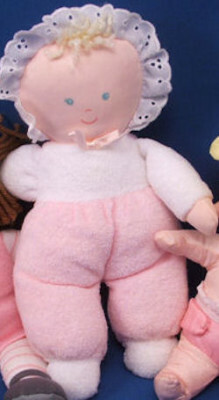 I’m looking for a Carter’s Just One Year doll with brown hair, bangs, pigtails, green bows, and a pink dress with a white daisy and printed My First Doll. 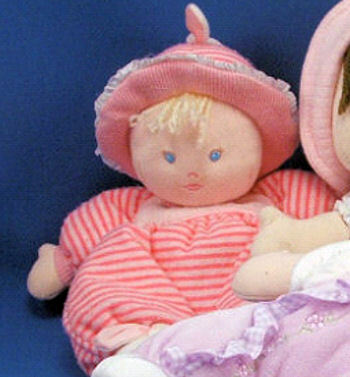 I’m looking for a Russ Belinda doll. 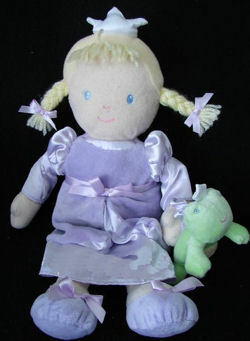 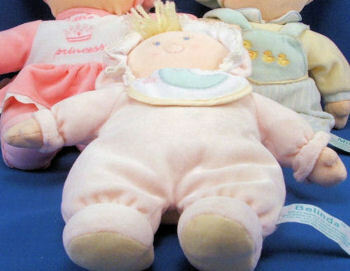 It’s a large blond baby doll wearing a pink velour sleeper and an eyelet trimmed bonnet and bib. 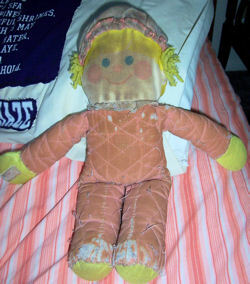 It rattles.